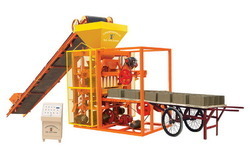 We supply high quality Cement bricks machinery in Bangladesh. We have many customers of Concrete Block plant from prominent manufacturing companies. Please call us for price. Concrete block making is the hot cake now in Bangladesh. In Bangladesh, the clay bricks production is going to be forbidden. 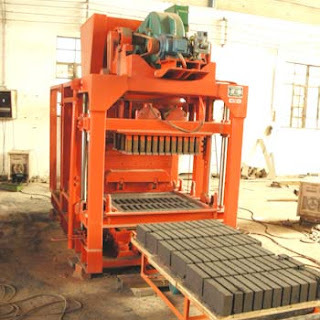 Every brick field owners have to manufacture concrete block or cement bricks instead of red clay bricks. The government will not use red clay bricks for construction. Concrete block is environment friendly, light-weight, earth-quake resistivity is more than red clay brick. Using cement brick is a good idea to reduce carbon emission in atmosphere. The production cost of cement brick or concrete block is lower than clay brick. One concrete block is equal to 5 red bricks. The cost of labor is also reduced by using cement blocks. In Bangladesh, CBECL is a leading consulting company providing the best machinery solution for concrete block or cement bricks making plant. Please contact us for detail information and price list.